Like Islam Judaism has an uncertain relationship with meditation, as many Orthodox Jews question whether it is really ‘Jewish’ to meditate. Defenders of meditation within Judaism point to both the contemplative nature of biblical analysis and the mystical nature of Kabbalah as evidence of meditation being rooted within Judaism. Both ancient Kabbalic and Hasidic texts support the practice of gaining understanding through intense logical reflection. Rather than believing this to then lead to sudden spiritual Enlightenment, Jews rather believe that in order for this meditation to be useful a further logical reflection must be made in order to make sense of the understanding that has been initially gained - a process called ‘Hidbodeidut‘. Meditation conducted otherwise may lead to insights that are not fully developed and are therefore both non-Jewish in nature and delusional. 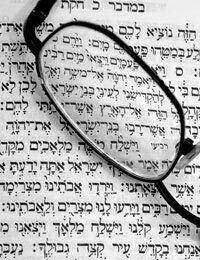 For Jews, Enlightenment follows from a deep, concentrated and analytical understanding of the Torah (the Old Testament). In this sense Jewish meditation is not meditation as understood by practitioners of Buddhism, Hinduism, Heychasm, Yogic practice and so on, but rather meditation in its original usage, deriving from Latin and indicating intellectual pursuit. Jewish meditation as a continuous questioning of Jewish texts, followed by contemplation and further questioning naturally opens itself up to debate. For this reason, the presentation of contemplative meditation as viable within a Jewish meditation is often presented. Many Jews argue that contemplative, non-rational meditation is useful for developing a better understanding of God, with some claiming that meditation was clearly practised by Old Testament prophets. There is a strong trend of ‘Jewish Yogi’s’ keen to point out the similarity between the Jewish pursuit of an understanding of God through a lifelong reading of the Torah and the Yogic pursuit of Enlightenment through dedication to work and meditation. They also point to the now uncommon practice of silent contemplation either side of ‘Davening’ or prayer, said three times weekly and four times on the sabbat (the Jewish day of rest) as being similar to contemplative meditation, arguing that the resurrection of the lost tradition of meditation within the Jewish faith could have an invigorating effect. Chocma: The original discovery by an individual of a truth or understanding previously unobtainable to them. Binah: The process of seizing upon Chocma, processing this discovery and refining it. Das: The ability to hold in mind both the Chocma and Binah and make use of them. This multi faceted form of meditation perhaps performs what any form of meditation aspires to, but rather knowingly as opposed to unwittingly and via random associations of the mind that develop over time towards Enlightenment. Chocma is akin to Enlightenment, with Bina and Das representing, perhaps, the process of bringing the knowledge of Enlightenment back into play alongside everyday life. Hidbodeidut, in this sense, points to something that many spiritual adepts and Western psychologists are quick to state: The process of coming to self-knowledge, or knowledge of God, is not sudden and comprehensive, it is something that must develop and unfold over time. For this reason the debate over whether meditation has a place within Jewish thought is, arguably, a semantic one: Hidbodeidut and Yoga have more in common than many Orthodox Jews would like to think. How and whether these spiritual forms (alongside others) will come to a better understanding of their superficial differences and essential similarities remains to be seen.